from me by emailing me at pa@photographycreated.com. With shipping and handling price is $22.00. Get yours today! This will most likely be the last one that I will make as they are time consuming and expensive to print. Otumwa has a new Mom!!! Otumwa has been in Reno the past several months learning how to be part of the human world. She is working with our awesome trainer Karyn Shirley and has been ridden several times. She has quite a sweet personality and is very curious. I am very happy to report that Karyn has found a dedicated new Mom for her. 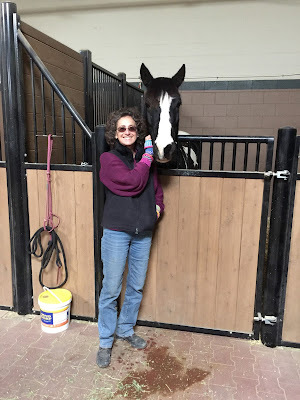 Barbara will continue Outumwa's training with Karyn as well as lessons for herself at the beautiful Ironwood stables where Otumwa will stay for at least another year. Otumwa means, moving water or running water. It is also a name for an Indian tribe. I am so tickled that she is getting the new mom and home she needs. Her self-esteem has risen immensely since leaving the herd and working full time with Karyn. I am very proud of her and very happy for her! 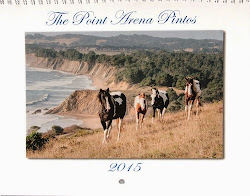 YIPPEE Sweetie and the Point Arena Pintos are very happy to announce that their 2016 Calendar has arrived and is NOW for sale at Four Eyed Frog Books in Gualala, CA. Or you can email me to order from me directly at pa@photographycreated.com. We wish you a very Merry Christmas, and Happy New Year! Life is a funny thing. You never know what it brings or has in store for you. When my husband and I moved to the coast in 2006 we fantasized about being under the radar and living quietly doing our various creative endeavors. 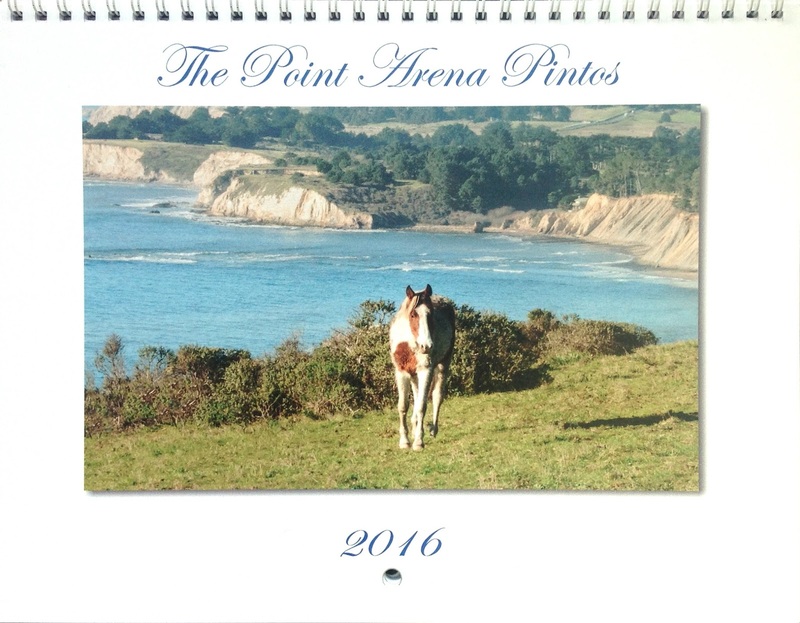 Then one night, six long time neglected horses wandered over to our property and the journey with the Point Arena pintos began. 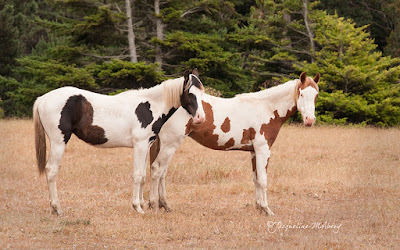 When we eventually rescued/adopted the herd, I knew very little about horses except for a few riding lessons as a child. I have always loved them, but was afraid of them. 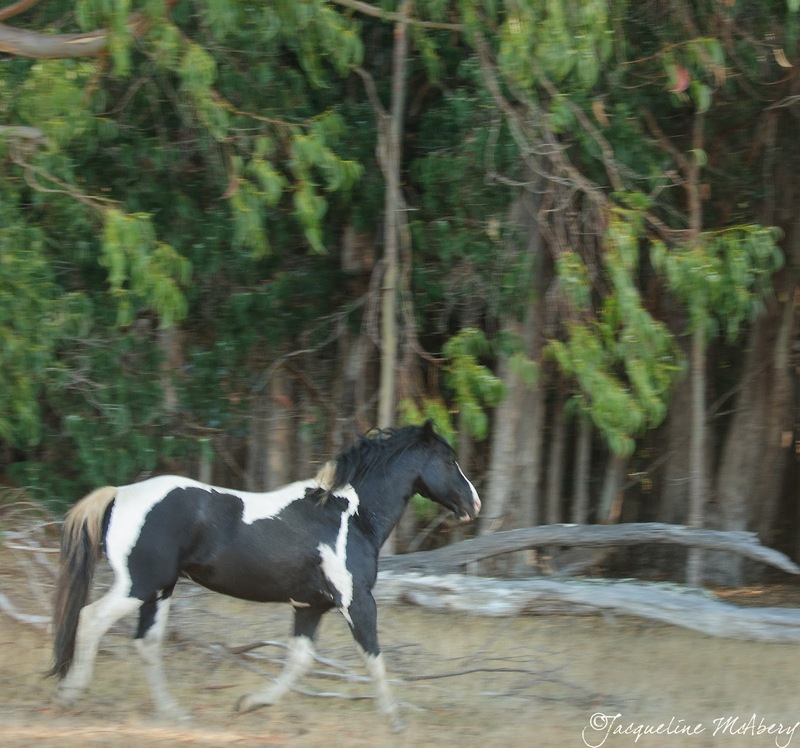 What is strange, is that I have never been afraid of these "wild feral horses." To me they were sorely neglected creatures who needed food, love and care and that is all that mattered. Yes, I was a novice (and am continually learning) about their care and training. Over the years I have heard various stories about their history and behavior, some of it conflicting. A big one was, how dangerous and mean Thunder was. At one point I was even being encouraged to put him down. I have never been afraid of him as he has never threatened me. During one of his early visits checking us out, my dog at the time,Jazz, was also checking him out. I have photos of them greeting each other and at one point Jazz went under Thunder and Thunder did not move a muscle. Thunder and I have a mutual respect and love for each other. I don't invade his space/ bubble and he does not invade my bubble unless invited in. He is very content these days. He loves eating the occasional carrot out of my hand. The property that he has always lived on was fenced in several years back by the present owner. He feels safe, he gets fed regularly and his responsibilities as head of the herd have dwindled now that he only has two older mares to take care of. The rest of the herd lives on my property next door and he has daily "coffee klatches" with the herd over the fence. Since the original herd of 6, the herd has grown in size and fortunately after lengthy research, we found a method of birth control so we no longer are expecting any more babies. We are now vaccinating all the mares on schedule. To learn more see blog post October 27th 2014. 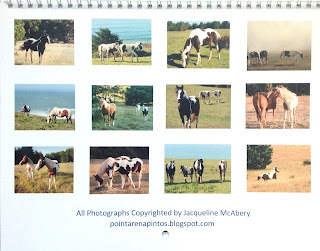 During my time as their guardian, the herd has had many adventures, most of which have been recorded in this blog. These lovely animals have changed my life in numerous ways. We have shared joy, sadness, worry, delight and tons of learning. I have been blessed by having them in my life and equally blessed by the people they have brought into our lives. Kendra Badock-Martinotti has helped me with them from day one. We have learned so much together and deepened our friendship due to our love and care of the horses. Mike Denning who is a big part of the care team in keeping the ranch running smoothly, mending fences, moving feed and hay, etc. We are very fortunate to have had two great vets over the years, Dr. John Fling and now Dr. Rich Brazil. 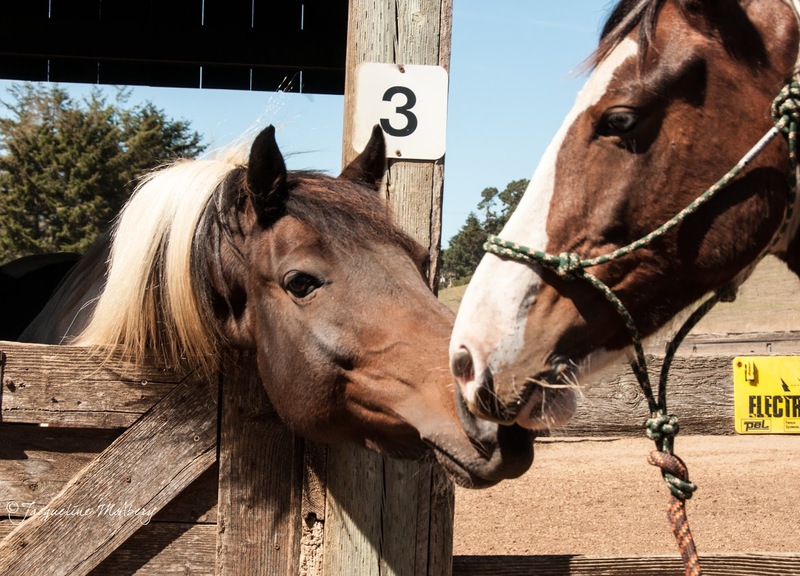 Early trainer Kathe Smothers was willing to take on working with the "wild horses" and taught us the basic fundamentals of horse. The lovely ladies Sally Campbell, Molly Smith, and Marilyn Kronk come to help out on "spa days" when we groom the horses and can be relied upon when there is an emergency. Jenafer Simpson comes periodically to do wonderful body work on some of the horses aches and pains. 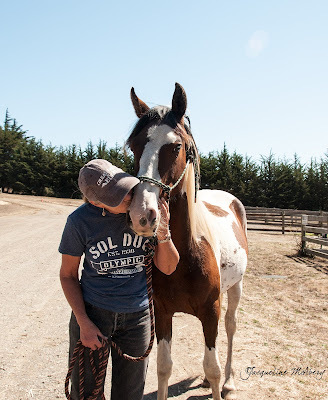 A new team member is Alyssa Lehr from Hollister, who recently came to do healing cranial and body work on three of the horses. 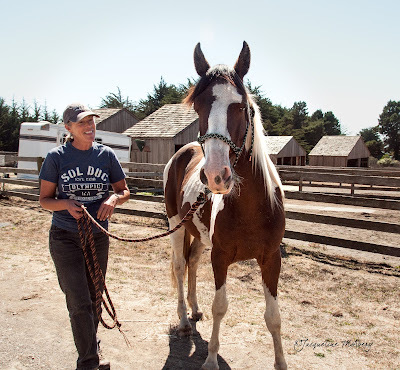 We are so fortunate and thankful to have horsewoman Karyn Shirley as our very inspiring and amazing trainer who has taught us all so much in a calm gentle manner. Her positive attitude and sense of humor are a delight! In a timely manner, she has made sure all the horses have been halter trained and most of them have learned how to get in an out of a trailer. (Except of course Thunder and his ladies).For us humans, she has deepened our ground work, taught us how to read the horses' body language, and continues to inform us about every day care.. You can learn more about her work by visiting her blog at www.purplesageequine.com or visiting her Facebook page. When I took on the herd it was a leap of faith. I had no idea so many wonderful people would come into our lives to assist with these special horses. It takes a village to care for the herd! 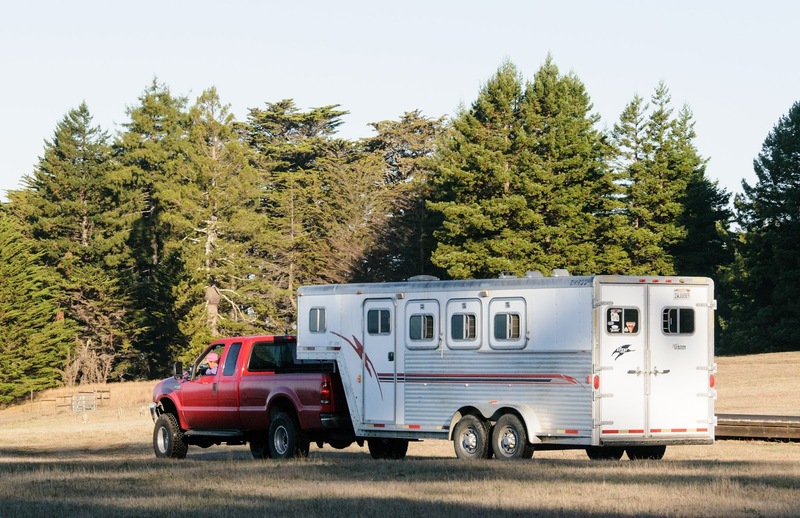 Over time it has become clear that some of the horses needed to move on. So here is an update on what they are doing. In the last post I talked about Majestic having Molly Smith as his new mom. 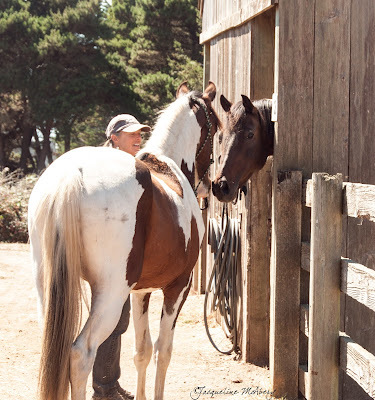 He is doing very well at the Sea Ranch stables, adjusting to new experiences, people and horses. 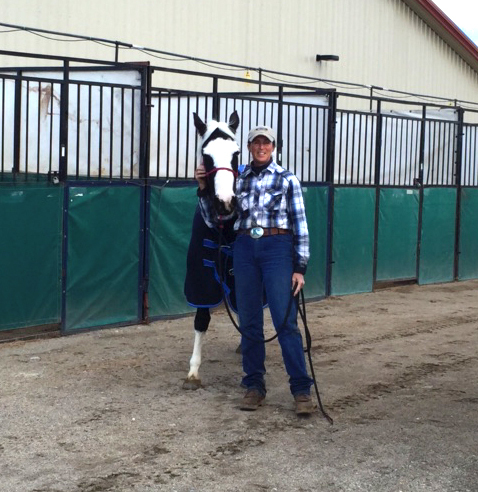 Three of the horses recently went to Reno to have further training with Karyn for a few months. 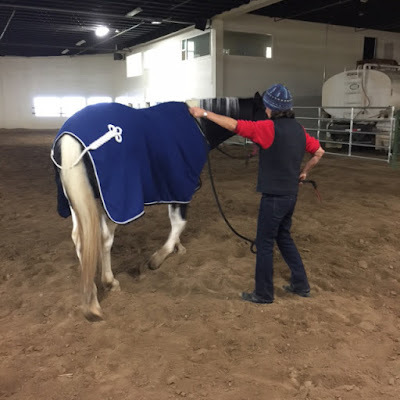 The horses are being trained for riding, learning about tarps, baths,etc. I have to say now that the herd is smaller, it saddens me a little but I know it is the for the best. They are off! 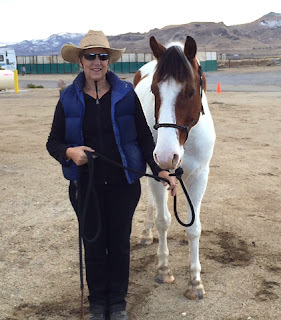 Alyssa was kind enough to transport the three horses to Nevada..
Marilyn and Kendra furthered their training recently by spending a weekend in Reno with Karyn and their horses. Little One, now called Kai has been Kendra's horse here at the ranch for some time. 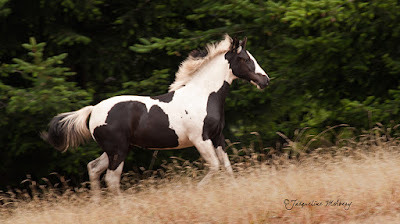 He was the first horse kicked out of the herd by Thunder. He hid in the woods for two weeks before we found him. The first trainer had trouble roping him so we took him to Buck Brannaman's clinic in red bluff. (See the May 8, 2012 post). Buck had him roped and haltered within a few hours. When we returned to the coast Kai reverted to his old ways and had no respect or trust for humans. With great patience, love and care Kendra spent many months gaining his trust. During this recent Reno visit under Karyn's guidance, Kendra and Kai have progressed nicely, challenged and changed their relationship and got his feet moving! Once his training with Karyn in Reno is done, he will go to live at a facility nearer to where Kendra lives so she can work with him daily. Kendra with Kai learning about tarps. One day when Marilyn was helping out, Splash now called Dakota, chose Marilyn to be her mom. During the summer it was wonderful to watch their relationship and trust deepen. Dakota, a five year old, is the largest horse in the herd and she got a late start being halter gentled. She is a sweet horse and a lovely mare. Marilyn and she have made great progress in Reno. I am so happy they are together and that Dakota will live close by. When Dakota returns to the coast, she will live with Marilyn. Marilyn and Dakota at the lovely Reno stable. Otumwa was born slightly oxygen deprived so when Karyn was halter training her she realized that Otumwa learns differently than the other horses. She needs more consistent one to one training so she is also in Reno growing and excelling under Karyn's care. 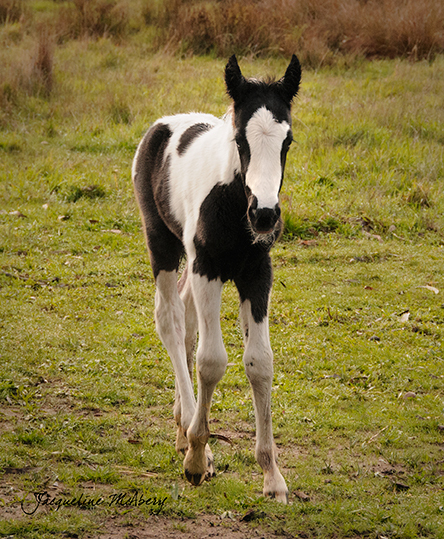 She is a sweet tempered and beautiful mare with her white forelock and one blue eye. 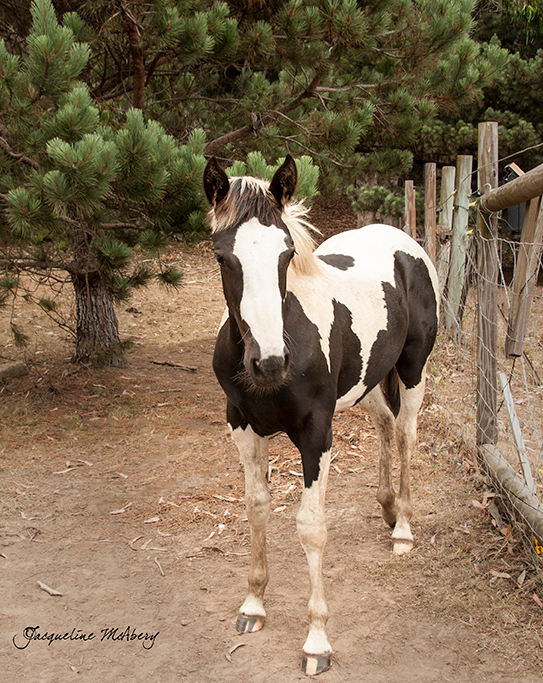 Otumwa is becoming quite a wonderful calm, easy going horse and Karyn is going to find a good home for her. She is better off and happier not being in the herd. Thank you Karyn and Kendra for the photos! 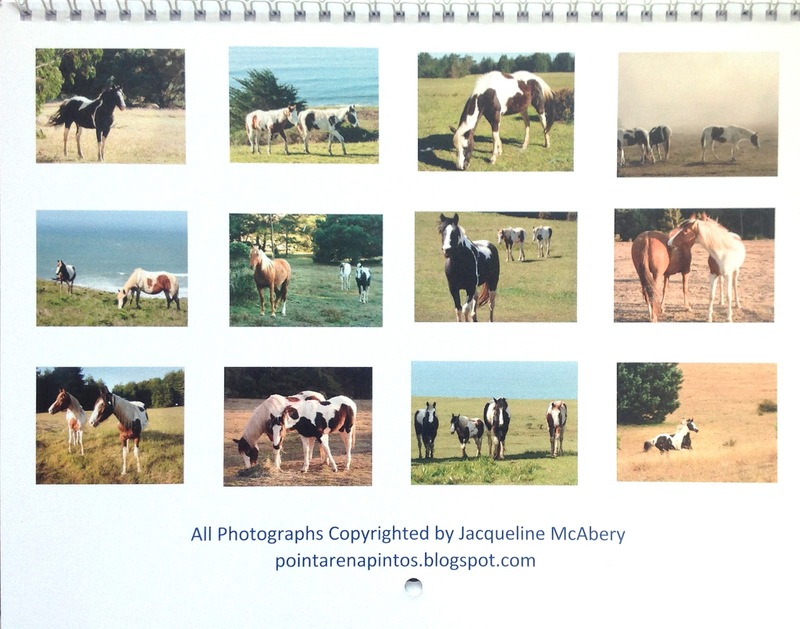 The 2016 pinto calendar will be late this year. Hopefully out by Christmas or early January. 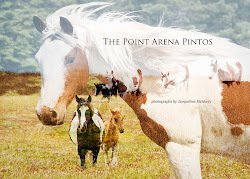 Happy Thanksgiving everyone and we thank you for your interest in The Point Arena Pintos. Majestic has a new home! 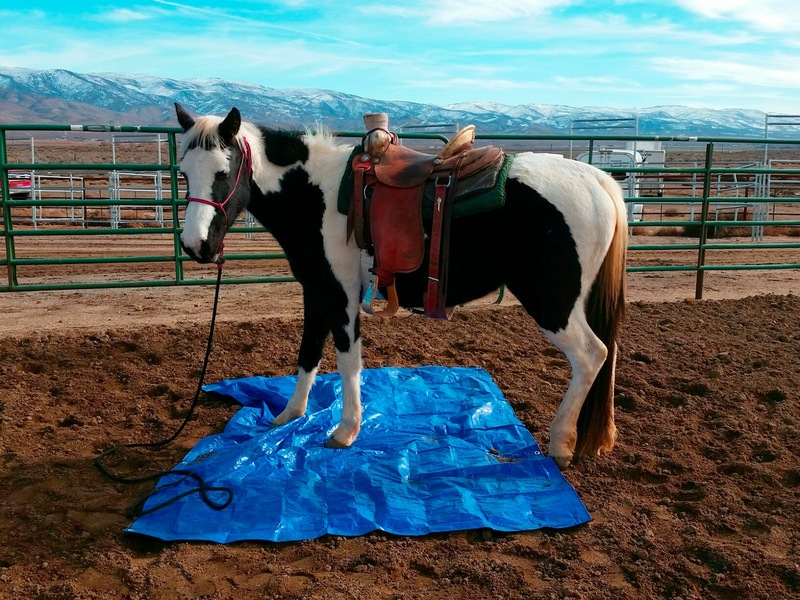 Majestic is a beautiful boy whom I have enjoyed taking care of and working with for two years, however, it became clear he needs a more experienced horse person and someone who rides. 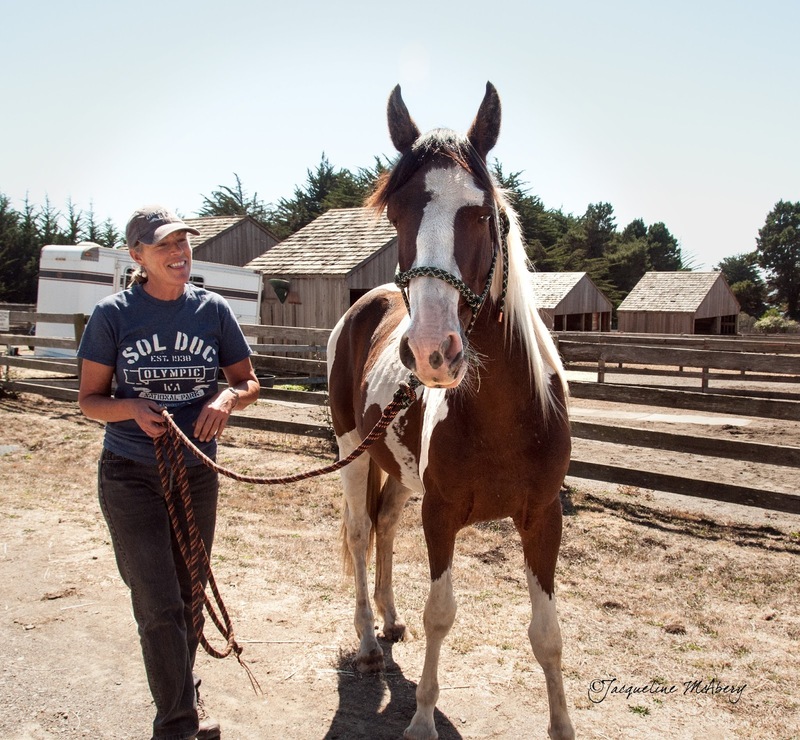 So lovely Molly Smith from the Sea Ranch Stables is his new Mom and they are both very happy. He went to his new home on Thursday and here are some photos of the event. Molly and Majestic just after he was unloaded from the trailer. 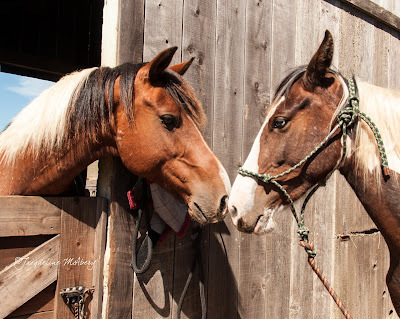 Meet and greet time -Molly introducing him to his new brother, Scout who is also a pinto. Scout is very curious about Majestic! excited to meet Majestic, he kept bobbing his head up and down as he recognized a horse from his old herd, even though they had never met. So funny and dear! These two horses are about 6 months apart in age and they hang out together all the time. I constantly see them walking side by side. We have never had a pair before that are so bonded. Little by little I am giving them time apart which is healthier for them. I get the biggest kick out of the two of them. 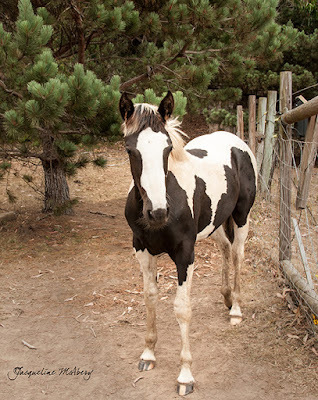 Saunder is Eve Larson's (who passed away a year ago) horse. You can scroll down to earlier posts to find out more about Eve and Saunder. 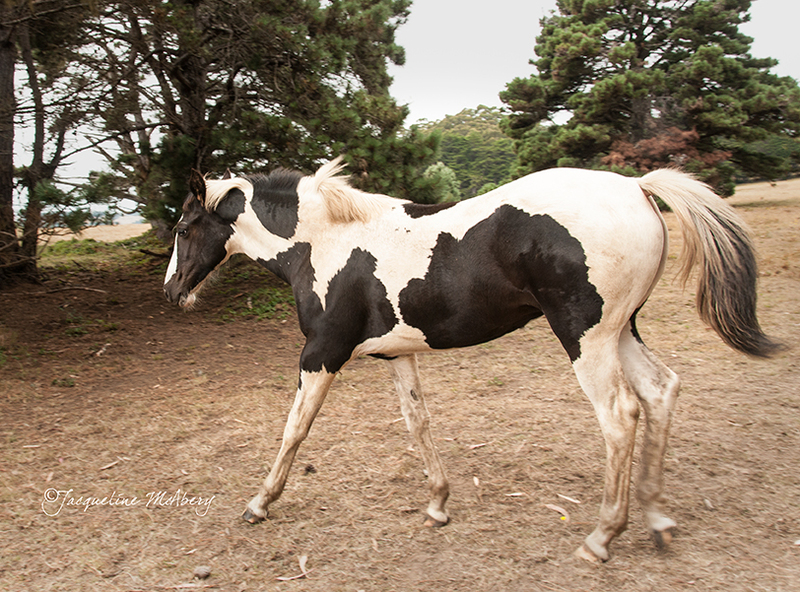 He is now 14 months old and is the most amazing little yearling. Although by the length of his legs, he won't be little for much longer - he is growing leaps and bounds and will be very tall. I am having fun bonding and working with him. My nick name for Mystery is Carrot Top. He is also a very sweet beautiful colt who loves to be groomed. He loves attention, comes up to us all the time and is very playful. I suspect he has a mischievous side! She is running up the hill at the ranch the first day here. on the other side. I think she has a lovely face. I posted this photo of her when she was 24 hours old. It is fun to compare her then and now!